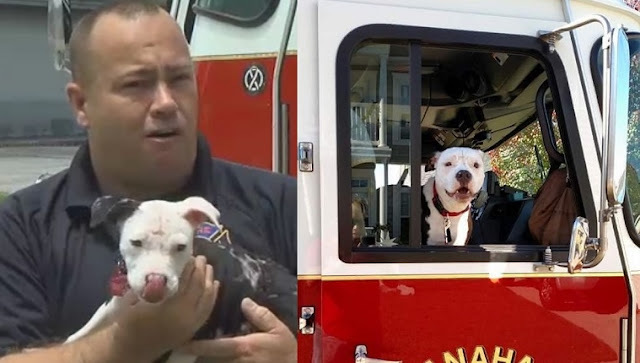 Back in May of 2015, firefighter William Lindler had just gotten home from the station when he noticed smoke coming out of the house next door. 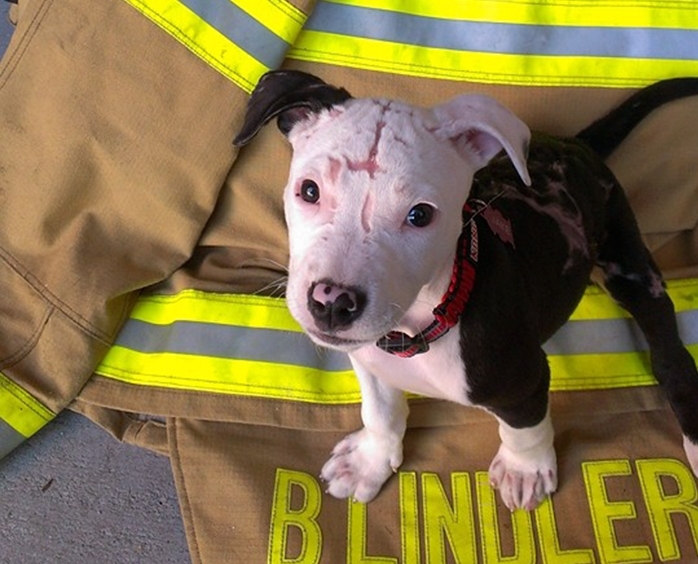 He knew right away that it was a house fire, so he put on his gear and ran to the rescue. As other workers arrived, the family yelled out that their Pit Bull puppy was still in the house. 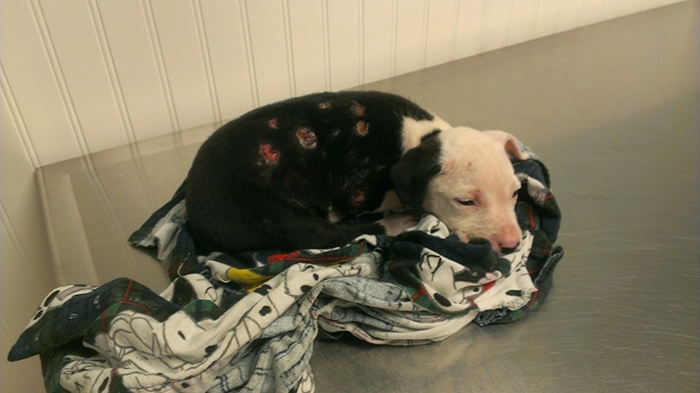 Lindler immediately helped bring the puppy out of the blaze, but he was in bad shape. He had burns over 75% of his body, and there was a chance he wouldn’t make it. 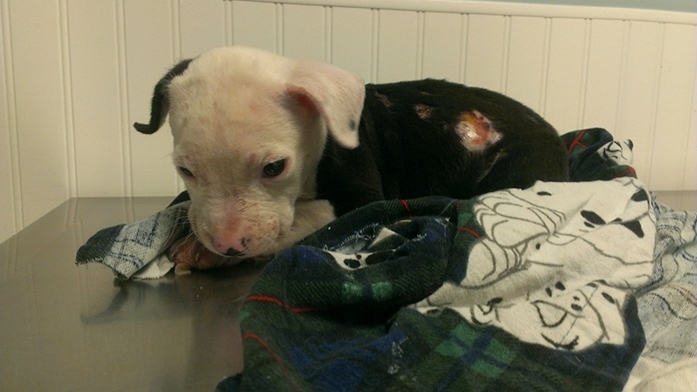 To make matters worse, the puppy’s family abandoned him at the vet. 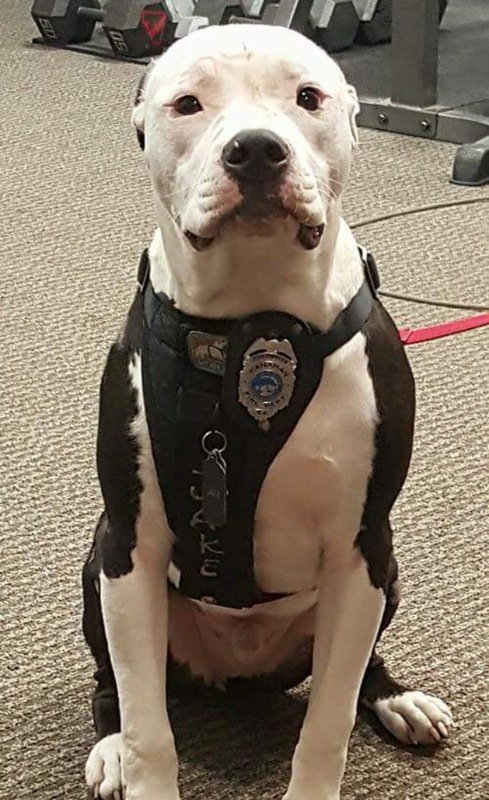 Lindler couldn’t let the poor pooch go without a home, so he adopted him and called him Jake. Eventually Jake began to heal, and Lindler wanted him to grow up and become a therapy dog for burn victims to give them hope that they would be able to pull through and be happy again. 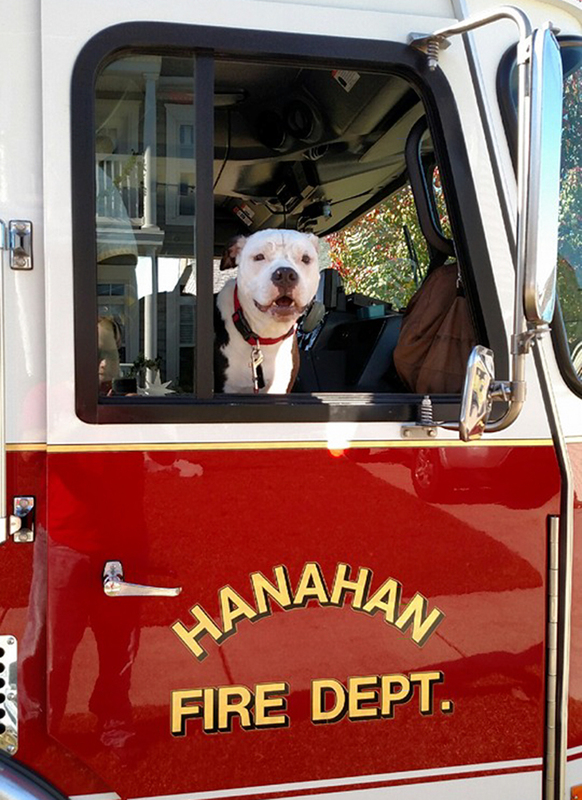 Last December, Jake got a step closer to that goal when he became an honorary firefighter in the city of Hanahan. 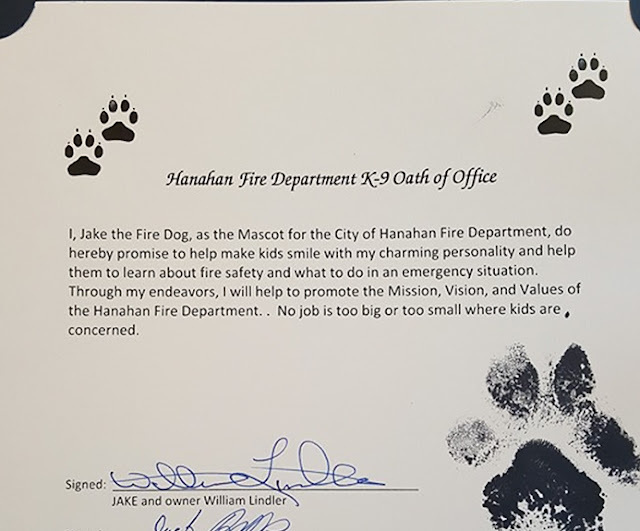 He even used a stamp of his own paw to sign the official document, and he looked extra cute in his firefighter outfit. Responses to "A Puppy Saved From A Fire Becomes A Firefighter"
Truly a story of faith & kindness. God bless both you & Jake. I wish more people were like you Mr. Linder. Thank you.